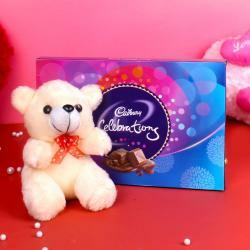 Product Consist : 2 bars of Toblerone Chocolate (Weight : 50 Gms each ) along with Teddy Bear 6 inch. 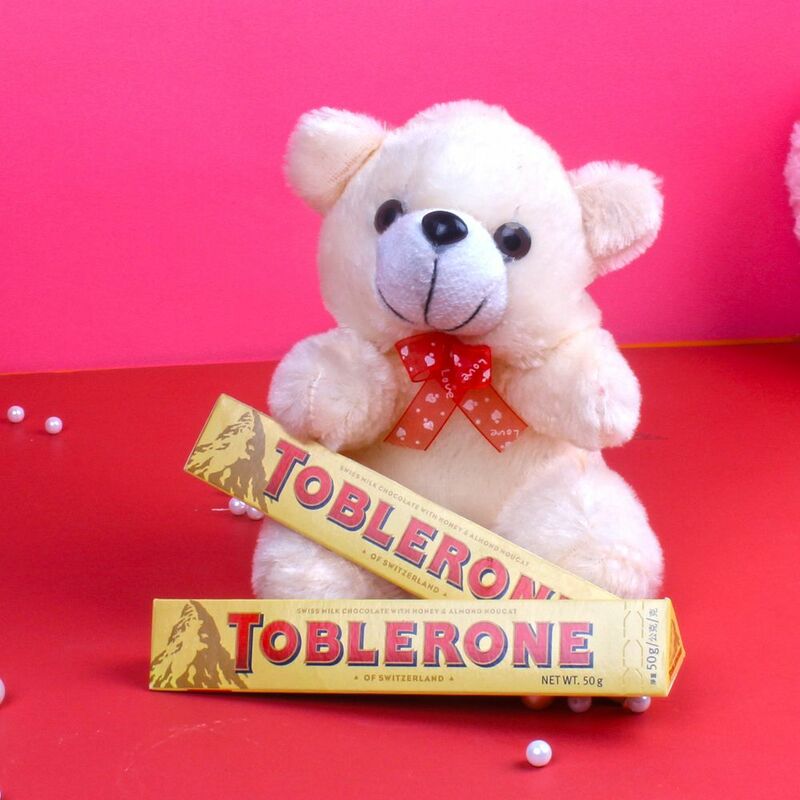 Treat your lady love with this amazing gift pack Toblerone Chocolate with Teddy Bear which expresses the deepest love you have for your love lady. This exceptional gift pack includes grooming product for her, which has the feeling of deepest love and care. 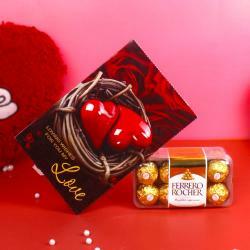 This gift pack has a very special charm which will be mesmerized for the entire life and will be daily use essentials. 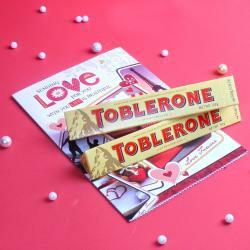 If you are looking for some exotic Valebtine's Hampers like Toblerone Chocolate with Teddy Bear for your special lady, then head to Giftacrossindia.com the largest variety gifting store of India for occasions like Valentine's Day, Birthday, Anniversary, Women's Day and Many more.. Browse your favorite products, it is very conveniently available for online shopping from anywhere in India with Free Shipping. 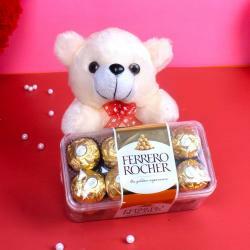 Product Includes : 2 bars of Toblerone Chocolate (Weight : 50 Gms each ) along with Teddy Bear 6 inch.